We can’t hide it anymore, holiday season is here. Thanksgiving, Christmas time and other holidays, celebrations and gatherings. Presents, decorated cities, it’s a wonderful time of the year. But it’s not a wonderful time for everybody and some of us feel depressed during holidays, stressed and lonely. If you are one of them, I hope my tips will make your holidays nicer. December is definitely the busiest month of the year. People are busy at work, you have so many things to attend and places to be, you need to buy outfits, and gifts so all in all the month can be quite overwhelming with no time to catch a break. People’s “awesome” pictures all over your social media accounts, commercials and even Christmas movies creates this idea of a fantasy Christmas, that in reality nobody has. It is really hard not to compare your situation with other people’s, especially if you are going through a difficult period at home or with your family. This can make you feel sad and lonely. Money problems can lead to depression and especially so during this period. Everywhere you look around stores are full of sales, deals and you have lots of gifts to buy, even if you can’t afford much. Since December is the most stressful month of the year, many people tend to forget about self-care. Most of us drown our sorrows in overeating, over drinking and under sleeping, leaving us feeling really bad afterwards. Scared to reach out. Some people don’t have with whom to spend holidays or they don’t feel like visiting their aunt that always asks questions about their life and their accomplishments. They withdraw into their own little world and get lonely. In my opinion, loneliness and boredom are the two most awful feelings ever – I’ve been there, trust me. Be realistic. 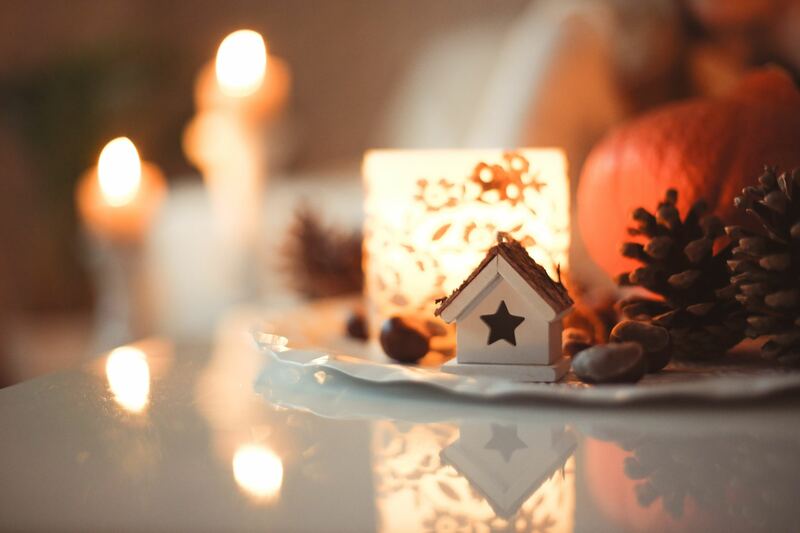 The holidays don’t have to be perfect or like the ones in the movies. Things change, people change, responsibilities change and we just have to adapt to it and make the most of what we have. Don’t ignore self-care and don’t abandon healthy habits because your body and you will feel very bad afterwards. Even though you are busy, try to stick with a little bit of exercise each week and still eat as healthy as you can manage. Set a budget, if you are having money problems and plan on buying lots of gifts, it’s better to set yourself a budget and plan your month ahead. Even better, spend time building DIY gifts. It’s a great way to unwind, usually costs less than bought gift and I am sure people will appreciate it more than anything you would buy at a store. Plan ahead. Use your agenda to set aside days for shopping (I only shop online for Christmas, it’s much easier), cooking, visiting friends and family. Become involved in charities or worthwhile causes that help unfortunates people. This is the best way to give and I am not talking money wise, but spreading joy and kindness. There are so many people in need and even a small gesture can change their holiday Season. If you are looking for gifts that cost nothing, read my article HERE. Be thankful for what you have, yes this holiday season may not be the best one you ever had, but there are always people that have it worse. Find reasons in life for why you should be thankful, find your happy moments. If you feel lonely, reach out. Invite friends or hang out with people, give a call to a family member that you haven’t talked to in a while. Avoid staying alone in the house. Seek help, if you feel like depression is taking over, seek professional help. 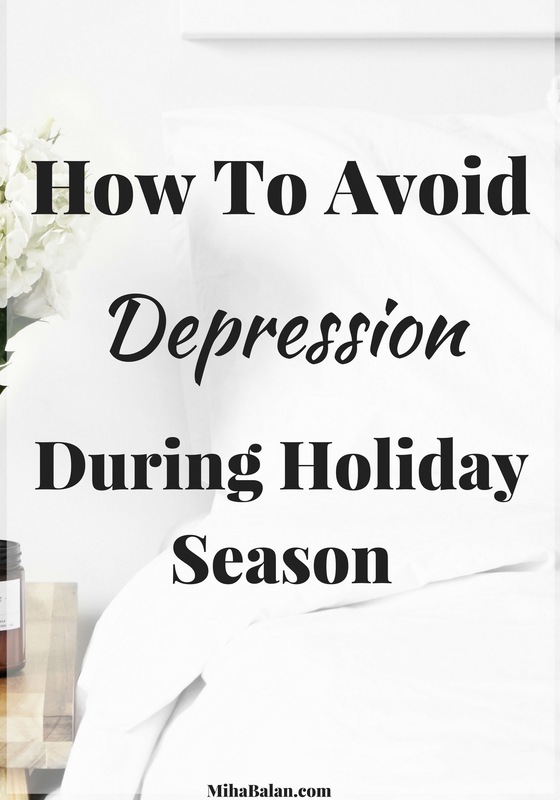 I dealt with holiday depression for a few years because of the loss of a family member and I know exactly how it feels. No matter how much people advise you, it’s not an easy period to go through but it’s not impossible either. If I could turn back time and do things that would make me happier during that period, it would be to get involved in charity work, help someone and always stay around people. Because when you give, you are actually getting more back.